In 1976 we released our first album, “Handle With Care”, which I have said was a compilation of songs Jon and I had written at various stages of our musical careers. Some were written for the album, and some of mine came from The Contents Are days. Some of Jon’s came from the early days of Silver Laughter before I joined. This song was one of the latter. Jon sings the lead vocal with Ken, Paul, Kim and me singing backup. Past Silver Laughter member, Steve Elliott, was invited to play steel guitar and banjo while Kim overdubbed a mandolin part in addition to playing drums on the cut. When we did the final mix down, it was decided to leave all the banter as the lead in. It was cut from the Progress label’s 45 RPM version and released hoping to appeal to a Nashville audience. The church music at the end was not ours but was left over from a previous client of the studio. As I understand it, working with churches and recording their choirs was bread and butter work for this Warrensburg (near Kansas City) outfit, and this was a residual take from one of those sessions. You can hear Ken at the end saying, “People in Worthington are not going to like this,” as Cheever’s was one of our popular places to play in those days. 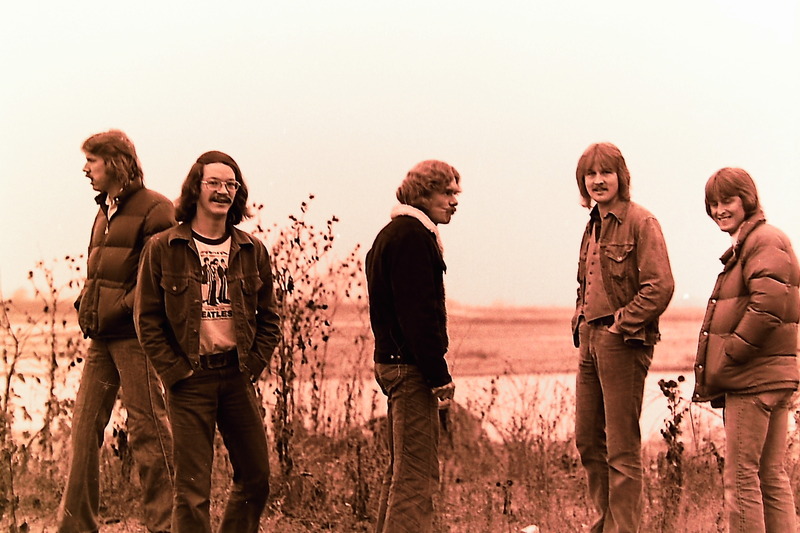 And speaking of Worthington, I have included another one of our photos from those early days when Paul Staack had just joined the band in fall of 1976 to replace Kim Ludtke on drums. Carl Frisch was also an integral part of the band in those days serving as sound and light man as well as head cook for the troops!